The Victoria Cross (VC) is the highest and most prestigious award for gallantry in the face of the enemy that can be awarded to British and Commonwealth forces. After the Great War of 1914-18, three VCs were awarded to railway employees who had served in the conflict: John Christie, Ernest Sykes, and Wilfred Wood. 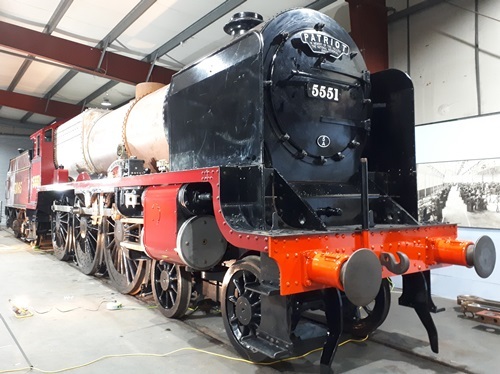 All three survived the Great War and the London and North Western Railway (L&NWR) named three ‘Claughton’ Class locomotives after their employees in recognition of their bravery and the VCs which they had received. 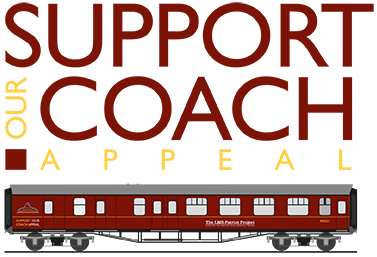 When the ‘Claughton’ locomotives were withdrawn, the London Midland and Scottish Railway (LMS), which succeeded the L&NWR, introduced what became the new ‘Patriot’ class and transferred the nameplates of the two VCs who were still in the employ of the LMS. These were Private W. Wood V.C. and Private E. Sykes V.C..
Wilfred Wood was born on the 2nd February 1897 in Stockport. He started his working life in 1914 as an engine cleaner at Edgeley shed at Stockport. Towards the end of 1916 he joined the Cheshire Regiment as a stretcher-bearer, later transferring to the 10th Battalion The Northumberland Fusiliers. “…on 28 October 1918 near Casa Vana, Italy, when the advance was being held up by hostile machine-guns and snipers, Private Wood on his own initiative worked forward with his Lewis gun, enfiladed the enemy machine-gun nest and caused 140 men to surrender”. Later when another enemy machine gun opened fire at near point-blank range, it was reported that Wood charged forward, firing his Lewis gun from the hip at the same time and killing the enemy machine-gun crew. Further, acting entirely on his own initiative, he advanced further and attacked a German-held ditch – three officers and 160 men subsequently surrendered to him. Wood was gazetted with the Victoria Cross on 27th November 1918. After the war he returned to Edgeley Shed and became a fireman in 1919. The L&NWR named a ‘Claughton’ class locomotive after him in 1922. Wood progressed to becoming a driver based at Newton Heath shed in Manchester. 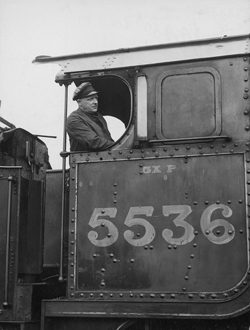 He retired in 1960 as a supervisor at Longsight shed. Wilfred Wood died on 3rd January 1982 at his home in Hazel Grove, near Stockport, Cheshire. Memorials to Wilfred Wood’s heroism can be found at the Regimental Museum of The Northumberland Fusiliers at Alnwick Castle in Northumberland where a brass name plate from 'Patriot' number 5536/45536 bears his name. In 2010, a public house was opened in Hazel Grove, near Stockport named after Wilfred Wood. Ernest Sykes was born on the 14th April 1885 in Mossley. He was educated at St George’s School in Stalybridge and worked as a platelayer for the L&NWR at Micklehurst. When War was declared, Sykes joined as a volunteer with the 7th Battalion The Duke of Wellington’s Regiment. During the Great War, Sykes was posted to Gallipoli, where he suffered severe injuries to the foot. He returned to England where he was eventually passed as fit to serve in the Tyneside Irish Brigade of the 27th Battalion of the Northumberland Fusiliers. Sykes saw service in France and Flanders and it was during this campaign that he was awarded the VC. “For most conspicuous bravery and devotion to duty near Arras, France, on 9th April 1917, when his battalion in attack was held up about 350 yards in advance of our lines by intense fire from front and flank, and suffered heavy casualties. Private Sykes, despite this heavy fire, went forward and brought back four wounded men. He made a fifth journey and remained out under conditions which appeared to be certain death, until he had bandaged all those who were too badly wounded to be moved. These gallant actions, performed under incessant machine-gun and rifle-fire, showed utter contempt of danger”. Sykes received his Victoria Cross from King George V at Buckingham Palace in July 1917. 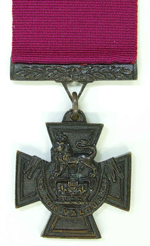 He was later awarded the 1914-19 Star, the British War Medal and the Victory Medal. After the war he returned to work for the L&NWR who named a ‘Claughton’ class locomotive after him in 1922. In 1937 Sykes was awarded the Coronation Medal. During the Second World War he returned to serve with the 25th Battalion West Riding Home Guard. Ernest Sykes died at his home in Lockwood near Huddersfield on 3rd August 1949. Memorials to Ernest Sykes’s heroism can also be found at the Regimental Museum of The Northumberland Fusiliers at Alnwick Castle in Northumberland where a brass name plate from 'Patriot' number 5537/45537 bears his name. His Victoria Cross is also on display at Alnwick Castle. A blue plaque is sited at the George Lawton Hall in Mossley to commemorate Ernest Sykes V.C.